Pedestrian Injuries – Diana I. Castrillon, P.A. Among the most serious traffic incidents that can occur are those which involve pedestrians. Lacking any protection whatsoever, a pedestrian is completely vulnerable to serious injuries when struck by a moving vehicle. Even a relatively slow-moving vehicle can cause fractures and other major injuries to a pedestrian due to the significant momentum of the vehicle’s mass and the hardness of the vehicle’s outside surfaces in comparison to human flesh. If you or someone you know has been injured in an accident while they were pedestrians, let our Personal Injury Attorneys in Broward county protect and defend your rights. Call us now for a free consultation. We are fully bilingual and will meet you at your home, hospital, or our office. We can even meet with you on weekends or evenings. 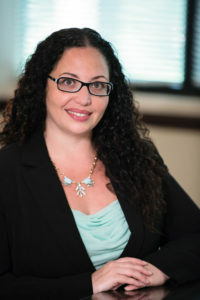 Attorney Diana Castrillon of Cecere, Santana, P.A. will fight diligently to protect your rights so that your only focus is on getting better.